Located on the eastern shores of Birch Lake, Hackensack and the surrounding area are the heart of your family vacation. 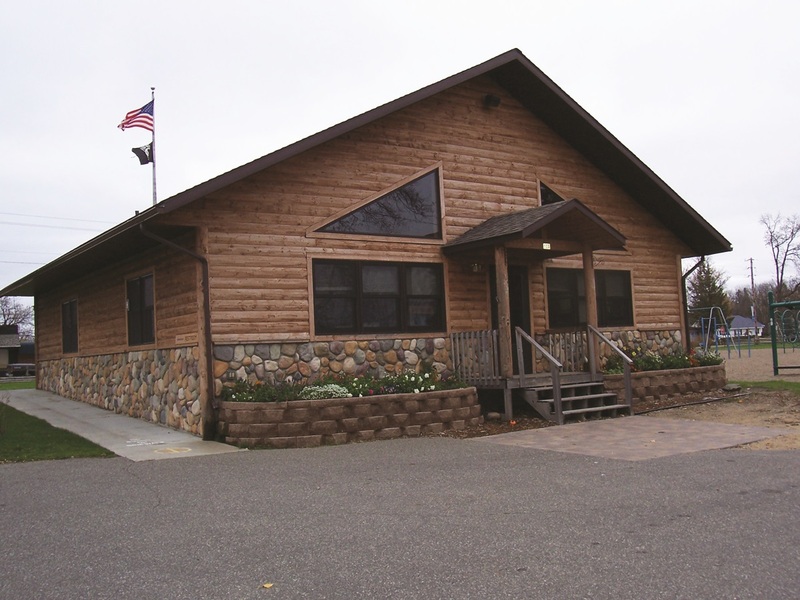 Within a 10-mile radius, there are 127 lakes, a state forest and the Chippewa National Forest. Wildlife such as deer, black bear, bald eagles, fishers, porcupines, timber wolves, coyotes, bobcats, loons and more can often be seen. Hackensack is a four season vacation destination offering more than just fun-filled crystal clear lakes. You'll find a variety of resorts, unique shops, restaurants and golf courses. 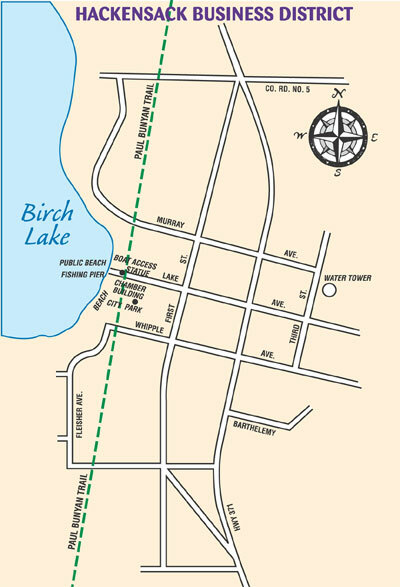 Bikers and snowmobilers will find us halfway between Brainerd & Bemidji on the Paul Bunyan Trail. Likewise, there's no shortage of opportunities to hike, bicycle, snowmobile or cross-country ski your way across our corner of the northwoods. The population of Hackensack is under 300, but this is not a sleepy community - rather a bustling, active community. Hackensack still blows the fire siren every day at noon, so you can check your watch or be reminded that it is lunchtime. While the town explodes with visitors during June, July and August, visitors come year round - to see the fall colors in September and October and take in the National Chainsaw Carving Competition - to come ice fishing and snowmobiling in the winter or just cozy up to a warm fire - and to watch the ice go out in the spring, the leaves bud out and the many spring flowers. 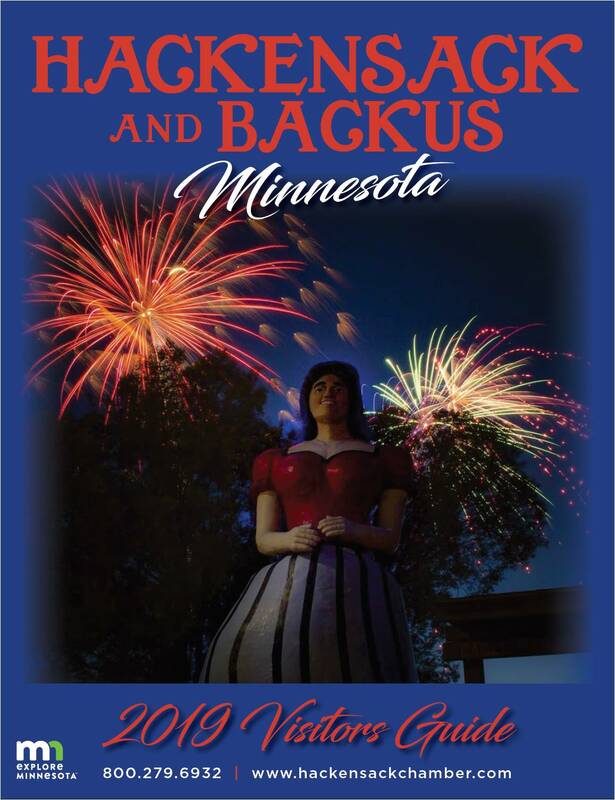 The landmark of Hackensack is Lucette - Paul Bunyan's sweetheart and wife since 1838. Lucette stands watch over the city pier and the city park, as well as the Hackensack Visitor's Center and the old log cabin on the shores of Birch Lake, which now houses a library operated by volunteers. From her vantage point, Lucette can see a variety of activities and keep watch over the many visitors. The Visitor's Center is open during the summer Monday through Friday from 10 am to 4 pm and on Sunday from Noon to 3pm. Winter hours are 10am to 2pm Monday, Tuesday, Thursday, Friday and Saturday, with closure on Wednesdays and Sundays. There's no doubt that Hackensack has much to offer families on vacation - a place to build memories and to return to life's basics. Enjoy the wonders of nature. Bring the whole family. Go fishing, boating, play board games, swim or just lay in the sun. There's always plenty to do in Hackensack!